Which are Commodities Traded in India? This is a pertinent question to ask that which are the commodities traded in India and which are the exchanges on which one can trade these commodities. You can check the exchanges where commodities are traded here. The above query can be understood in the light of the fact that commodities can be classified into two types namely Agriculture commodities and Non Agriculture commodities. It consists of spices, grains, pulses, edible oil complex. 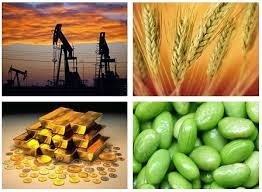 Non Agriculture commodities comprises of precious metals, base metals and energy products. The following metals form part of Non Agricultural commodities. Commodity market is a huge market which is number of times larger than equity market and this market never sleeps as one or the other part of the world; the commodity is being traded.